It was almost five years ago when Maserati introduced the stunning Alfieri 2+2 concept (pictured at the end) at the 2014 Geneva Motor Show. Based on the GranTurismo MC Stradale but with a much shorter wheelbase, the sports coupe had a naturally aspirated 4.7-liter V8 engine with 460 horsepower and 383 pound-feet (520 Newton-meters) on tap. Several months since its debut, in May 2014, Maserati announced plans to put the concept into production with a V6 in three different states of tune: 410 hp, 450 hp, and a range-topping 520 hp. The agenda was to offer both coupe and cabriolet versions with a choice between rear- and all-wheel drive. As the years went by, the Alfieri continued to be nothing more than a promise, with no signs of an actual production car. 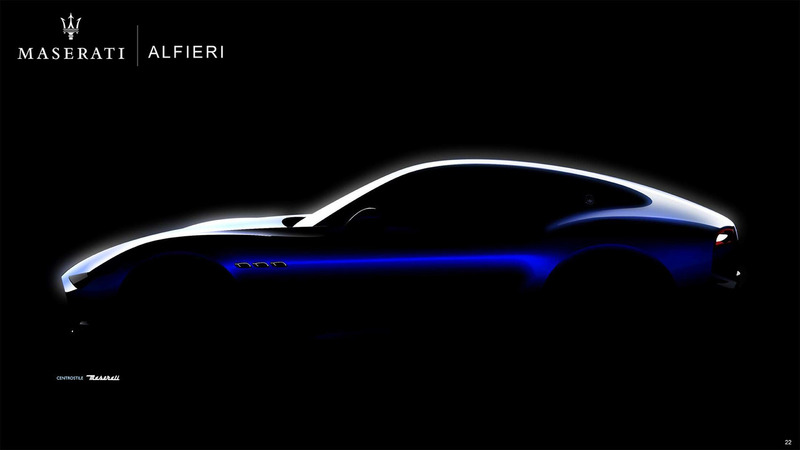 Confirmed yet again to get a road-going version in June 2018 when Maserati presented its hugely promising 2018 – 2022 product roadmap, we now learn the Alfieri will morph into a car you’ll actually be able to buy sometime next year. The reveal was made this week through a short press release announcing that “a characteristically Maserati sports car” will enter pre-series production at the Modena plant in Italy in the first half of next year. It likely means the first batch of customer-spec cars will be built before the end of 2020. To hit its target, Maserati will begin to update the production lines at the factory this fall. 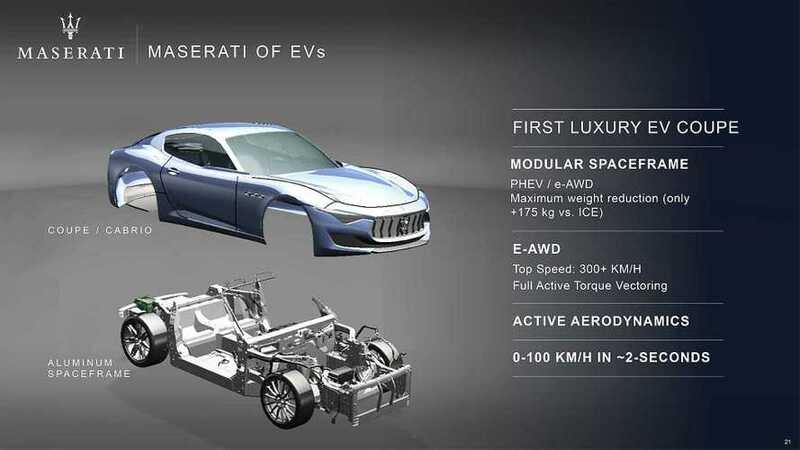 According to preliminary technical specifications released by the Italian marque, the production-ready version will be offered with a plug-in hybrid powertrain and an electrified all-wheel-drive system. Full active torque vectoring and active aero are also on the agenda, as is an aluminum spaceframe. The focus on lightweight construction will minimize the weight penalty caused by the implementation of an electrified hardware to only 175 kilograms (386 pounds) over the conventionally powered model. In terms of performance, the Alfieri in its quickest form will run to 62 mph (100 kph) from a standstill in roughly two seconds and will achieve a top speed in excess of 186 mph (300 kph). Beyond the Alfieri coupe and cabrio, Maserati also has plans for an all-new Quattroporte and Levante, an updated Ghibli, and a bigger SUV – all of which are coming until 2022 as per the roadmap.